We’re loosing people. They are escaping the siren pull of soft, bouncy yarn and falling victim to the lure of colored lines and cross-hatching and shading. I’m talking about adult coloring. More and more adults are discovering relaxation in the pages of (temporarily) black and white illustrations. I read somewhere that the fastest way to become a best selling author today is to put out a coloring book. 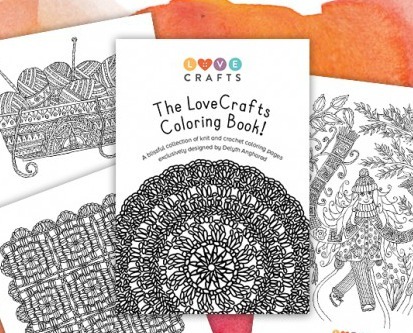 Did you know that there are coloring books specifically for knitters and crocheters? Oh yes. Let me take you on a tour. … and they make me think that must be what the Mason Dixon studio looks like. Looks like a fun place to hang out. This book isn’t as well known as the Mason Dixon book but I like it better. Its more abstract and a bit surreal. 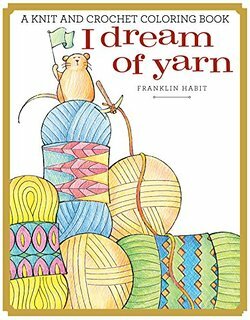 It strikes me as illustrations by someone who sees knitting, knitting fabrics, and knitting stitches superimposed on the world around them. Which might be exactly they way I see the world around me when I’ve stayed up past midnight. There are 20 illustrations and I may have started one myself. What can I say? I do like this collection of illustrations. I like the detail of going stitch by stitch, just like in knitting. There are some free coloring pages out there too. These illustrations may not be as high in quality as those in the books but… free is always appreciated. 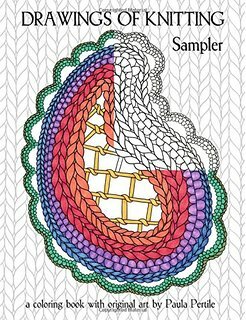 Here are 7 illustrations for ya in knit and crochet stitches. There is lots of whimsy mixed in. The designer says she thinks of coloring as an experience rather than a means to an end. 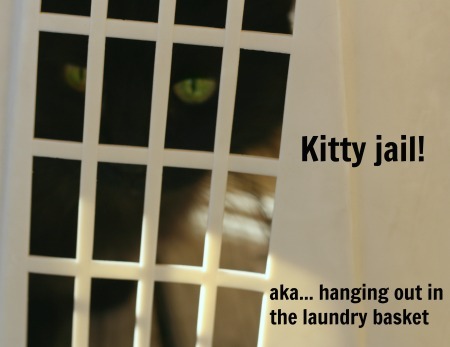 She hopes that you don’t agonize over color choices and just go! 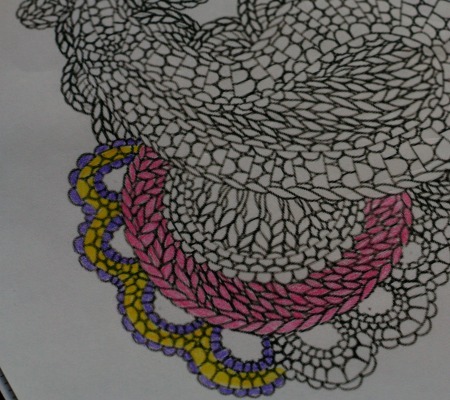 Craftsy is getting into the coloring hobby. 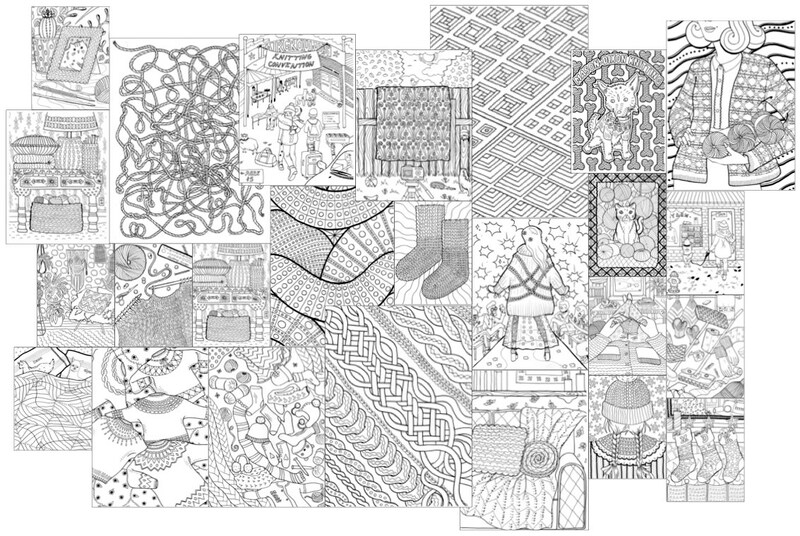 You can grab a copy of their free coloring page. 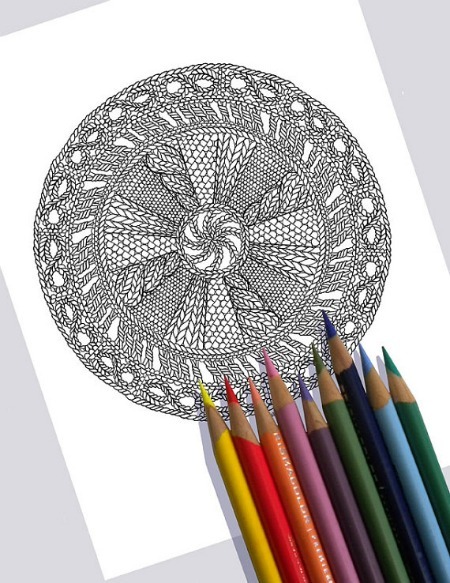 Then you can check out their free tutorial on six creative coloring techniques. Any colorists out there? If there are more knitting, crochet, or otherwise yarn related coloring resources available I’d love to hear about them. I’ll add them to this list. I figure there is plenty of cross-over in the play-with-yarn crowd and the play-with-colored-pencils crowd. There must be. 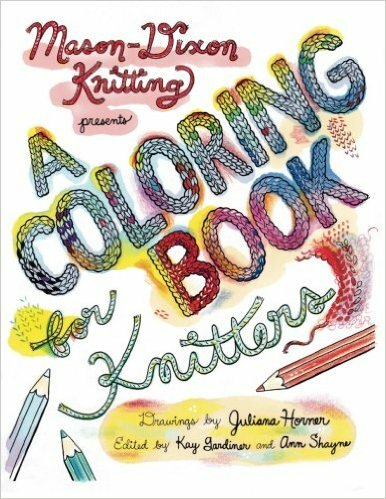 Knit Picks has a dozen coloring books for sale along with listings for news books that are coming soon. 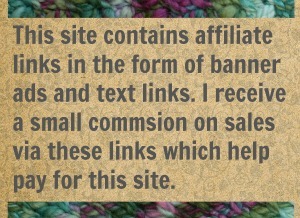 And if those customer savvy types at Knits Picks think knitters are coloring I bet you they are. Any one with coloring adventures to share? 10 Comments on "The lure of scribbles"
Coloring is very portable. Good point! Like you, when i break out the coloring pencils its usually to mark up a chart or try out a color pattern quick like on graph paper. Markers are for the brave! this is interesting 🙂 I just picked up my first adult coloring book yesterday 🙂 I felt the same way.. when I’m too tired to make it through another row and lets face it.. I have to do my purl back row so its actually 2 rows :).. Then I can at least pick up the book and still play with colors… I felt that the creativity of the coloring books could also help with my color choices in my knitting..
What a good alternative. 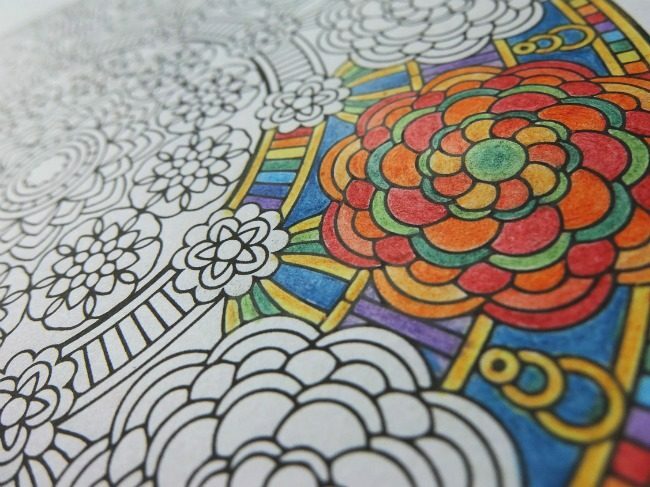 Does the coloring help you get mentally ready for sleep? I used to do sudoku for that. And I agrees that coloring helps you pick colors. For knitting and for everything else. Being good at picking colors is like anything else, it takes practice. The more you play with color, the better you are at it! You are right again Jenn. 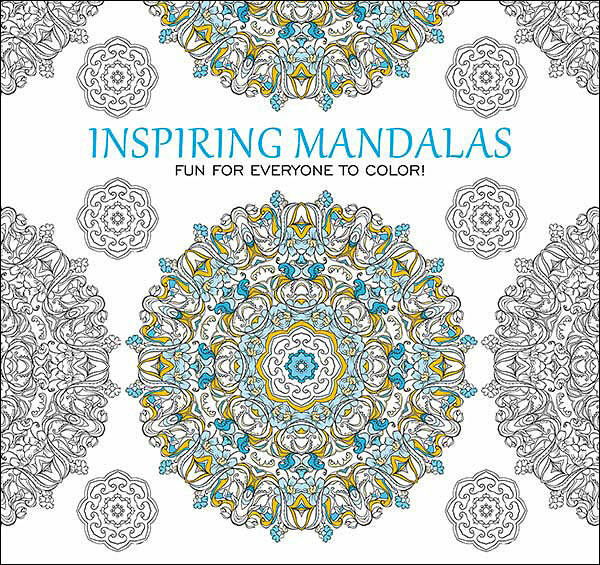 The stores all are carrying coloring books for adults. And they have every hobby covered too. Some are for us ladies, some are for gentlemen. Enjoy and relax.